A student who attends the University of California-Berkeley was detained at the U.S.-Mexico border because he was an illegal immigrant and had no legal papers. Now, the university is fighting to get him released from detention. 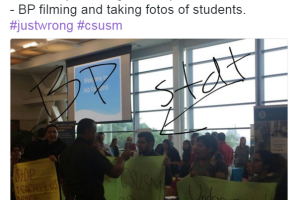 The Border Patrol backed out of participating in the University of California-Irvine’s career fair because the negative attention could distract from recruiters’ ability to recruit applicants.